Home /Fruits, Gardening, Self-employment/Got the Blues? It’s a Good Thing, if They’re Blueberries! I know somewhere there must be someone who doesn’t like blueberries. I’ve never met this unfortunate soul, however. Whether used fresh over ice cream or cereal, or cooked in whole-grain muffins, I love blueberries in my food. Besides tasting so good, blueberries provide a number of health and nutrition-related benefits. Another great thing about blueberries is the fact that smallholders can successfully cultivate and produce blueberries in almost every part of the country. Blueberries, perhaps more than any other fruit or berry, freeze very well, so a summer crop of blueberries will continue to serve the family table for months and months from the freezer. If it appears that I am personally very high on my little round blueberries, that’s right, I am. I figure that blueberries must be close to the perfect fruit for home growers. Another great thing about the little round blueberry is that it has proven to be, regardless of where we lived, our most reliable cash crop. Both in the Ozarks of Missouri and Arkansas where we raised our family or down here on the Gulf Coast where we now reside, blueberries have reliably brought some very welcome cash income. When I planted my most recent berry patch, I just wanted some berries for home use. Well, I got that and much more. 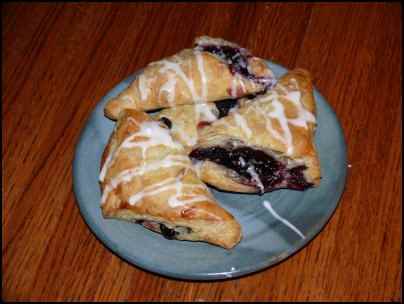 From just a few dozen blueberry plants, I have picked several hundred dollars worth of cash-crop blueberries in the past five years. Every year I sell every single berry that I don’t want to eat. Growing blueberries should be on every small farmer’s list of cash crops to be explored. Let’s look at this delicious, profitable bush-berry. In the US, there three types of blueberries for the smallholder to consider. There are low-bush, high-bush, and rabbit-eye blueberries which grow naturally in different parts of the country, and these native plants have been the origins of the multitude of hybridized and perfected commercial blueberries. Most blueberries grown for home and commercial production are of the high-bush type because of the larger size of the fruit and the easier growth habits of the high-bush. Small farmers should do a bit of study before running to the catalog and ordering a few acres’ worth of blueberries. It really does make a difference where in the world a growing area is located. Homeowners should work closely with local university extension agents when selecting specific types of blueberries. For instance, when I lived in the Ozarks, “Blueray” and a few other varieties did well. However, down here in the deep South, other varieties such as “Climax” do much better. It really is necessary to study up on plant varieties before planting a patch. Probably the first thing potential blueberry growers should consider is the actual planting location. Blueberries do NOT like to stand in water. Even though they were, in their native states, common in swampy areas, their very shallow roots allow wild plants to keep their roots from being constantly water soaked. Blueberry growers must make sure the growing area has good water drainage or the plants just will not survive, much less produce. Also, blueberry crops are lost every year because of late frosts which take the blooms. In the mid-west, late-blooming varieties would be good choices to avoid those killer April frosts. If the blueberry patch can be located on a hillside so that cold, late spring air can slide off downhill to the valleys, so much the better. The home grower will absolutely want to have good soil testing done. Blueberries love acidic soil, but just about any existing soil can be amended to make blueberry plants happy. Again, a little talk with the local extension agent can be a good use of time. Growing blueberries is not an overnight process. In fact, five years between planting and decent berry production is not unusual. However, the grower can not just slam the bushes in holes and walk off and wait until the plants produce. Careful control of weeds and irrigation development is necessary to bring blueberries into earliest production. Depending on the area, some sort of irrigation system may be necessary. In the Ozarks where soil runs thin and dries out very quickly, we found a drip irrigation system using water from a nearby stock pond to be the best way to gain optimum berry production. Also, mulch in the form of leaves and peat can be very beneficial to blueberry growth. Hardwood leaves such as oak and even pine needles will help create a more acidic soil around the blueberry bushes, which is just what they want. A thing I really appreciate about my blueberries is the length of their production. 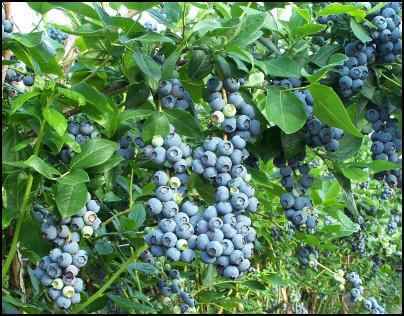 Properly maintained, a blueberry patch can produce profitable crops for many years. It is not uncommon to receive very heavy berry production for ten years or much more. As mentioned earlier, blueberry plants are acid lovers, and they appreciate fairly heavy fertilizing with low pH fertilizers. Be careful to not over nitrogen blueberries—this can do more harm than good. Again, good advice can come from local extension agents. The state of Missouri, in particular, does a very good job of getting good, useful information for blueberry growers. It comes down to this. Make the plants happy, and they will produce heavy crops for a long time with really minimal care and work on the part of the grower. This is my kind of fruit production! Any potential berry grower must early on decide just how much time and space can be devoted to a berry patch. If space and personal time is abundant, a grower may choose to plant several acres of blueberry bushes which will, fairly quickly, develop into a full-time job—at least during growing and picking seasons. If time and space are limited—as in my present situation—a couple dozen bushes planted in odd corners of the yard may be the extent of the blueberry growing. Let’s start the discussion of sales and money by stating from the outset that growing blueberries can, in some cases, generate a good bit of money. The United States Department of Agriculture says that a mature planting of blueberries can return as much as $3,000 per acre with correct marketing, management, and growing. 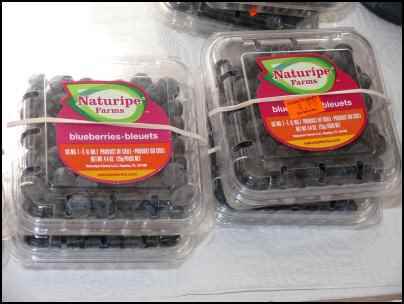 Of course, the best option for the home grower with a good crop of blueberries is direct sales. Selling straight to the consumer by the grower generates the most cash. This is best accomplished by having a passer-by see the gorgeous, ripe and shining baskets of blueberries and trying a sample. Cash changes hands, and everyone goes home very happy. Very often, once local residents discover a berry grower’s prime, fresh product, word of mouth and repeat sales to individuals will consume the entire year’s production. I have seen very large blueberry operations in various states which relied almost entirely on “U-Pick” procedures. This selling technique really requires minimal grower time in the field actually picking. It works like this: when the berries ripen, the field is opened up to visitors who come in and pick as many berries as they want. Gallon pails are provided by the grower, and folks come and pick until they get tired. When the picker is finished, he or she returns to the starting point and pays for the berries. This type of operation can many times be run on the “honor” system where the picker not only picks, but measures and then leaves payment in a secure box or jar for the berries while the grower is elsewhere. Many home growers use local farmers’ markets and flea markets satisfactorily to sell their berry produce. I love to sell this way, and I’d sell all of my berries this way if I could. Unfortunately, I must work away from home full time, so my direct sales opportunities are limited to weekends. This is where dealing with a local fruit stand or produce market can be beneficial. I have sold most of my berries to local markets over the past five years, and by establishing myself as a reliable and conscientious grower who delivers product when promised, I know that I have a market where I can sell every single berry I grow. I talked to Mr. Dennis Young, owner of Burris Fruit Market in Foley, Alabama, who buys most of my excess blueberry production, and he gave the following advice to home growers who want to sell to fruit stands. He recommends that growers check with the eventual seller to see what packaging size and form will be best. Most fruit markets will provide containers to their growers free. Also, Young advises growers to try and raise varieties which ripen and mature sooner than others. Berries which come ripe even a few days sooner than the main flood of produce will bring a higher price from fruit markets—so growers should try to grow early ripening varieties. Again check with local extension agents to try and determine what varieties will ripen sooner in a specific growing region. I believe blueberries to be just about the perfect fruit for smallholders who want to not only improve their personal nutrition, but also generate a little extra cash at the same time. Although the smallholder probably won’t get rich selling blueberries, that little extra cash in summertime always seems to come at a good time at our house. If properly planned, planted, and maintained, a blueberry patch will provide great benefits to the smallholder for years to come. Spend a little time speaking with local university extension agents, walking over the property looking for good planting areas, and then planting good, suitable bushes. In just a few years, the berries—and the cash—will start rolling in.